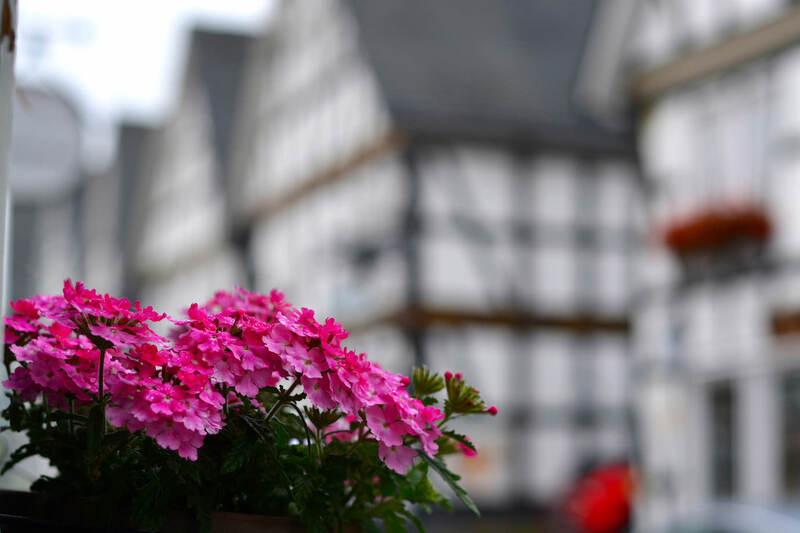 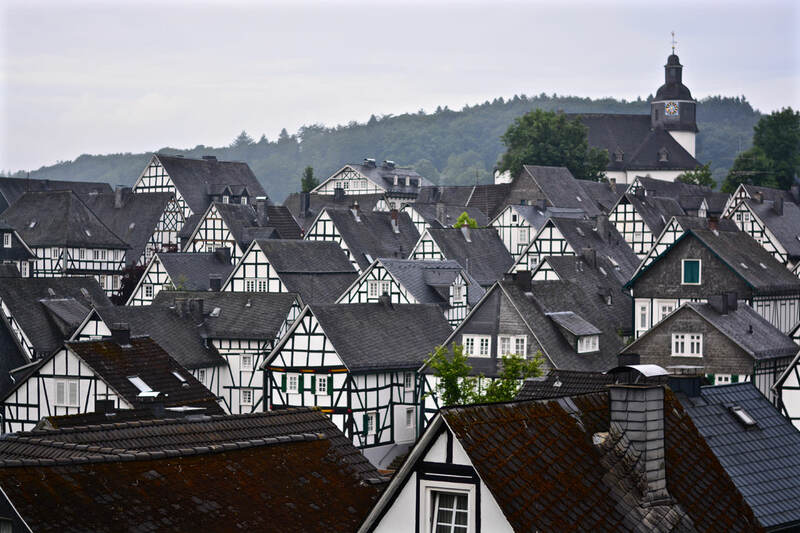 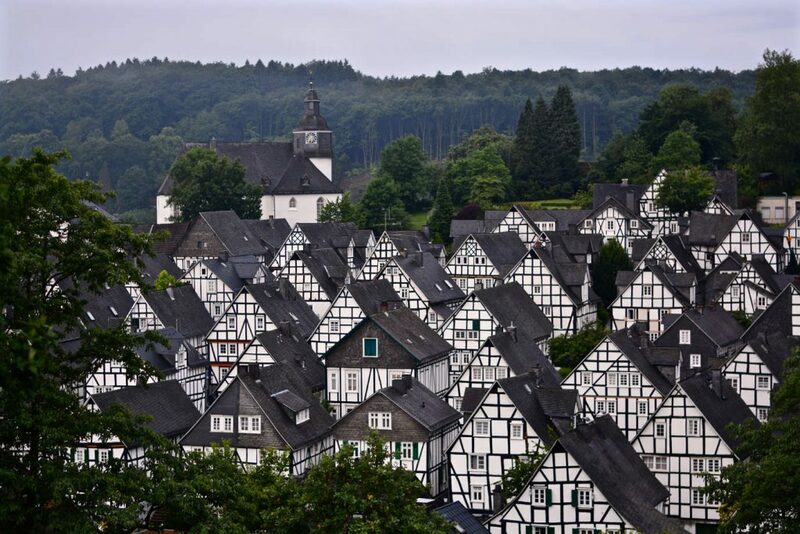 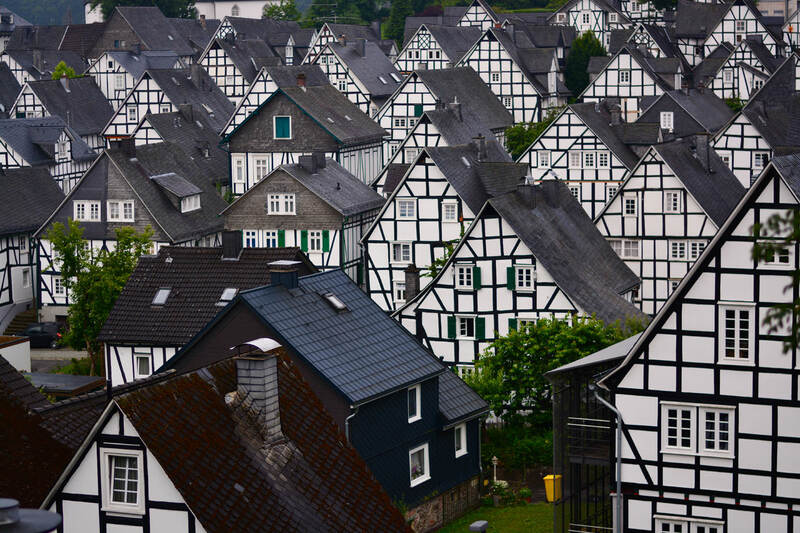 Freudenberg is a town in North Rhine-Westphalia, Germany and is home to over 17.000 people. 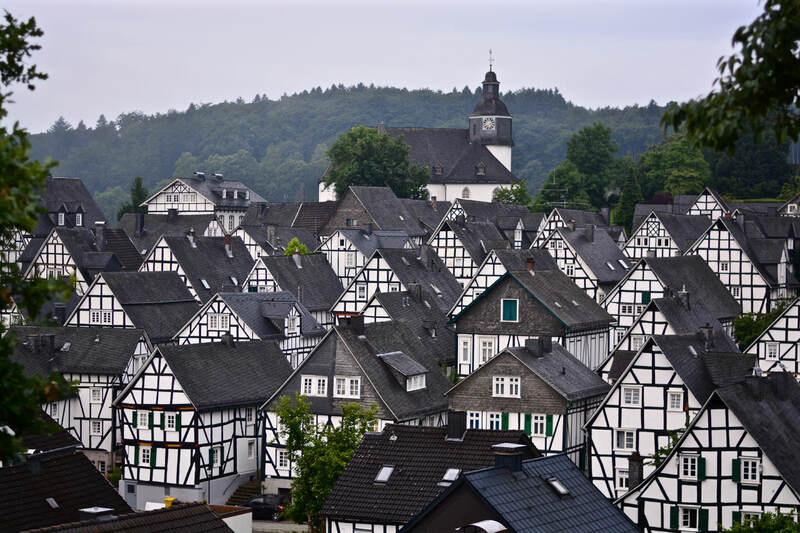 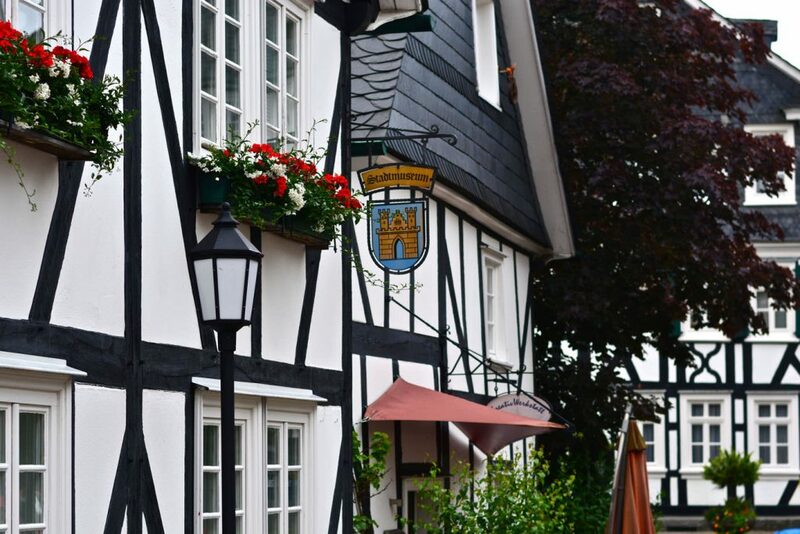 It is mainly known for its downtown core called “Alter Flecken” which is German and can be translated as old, small town. 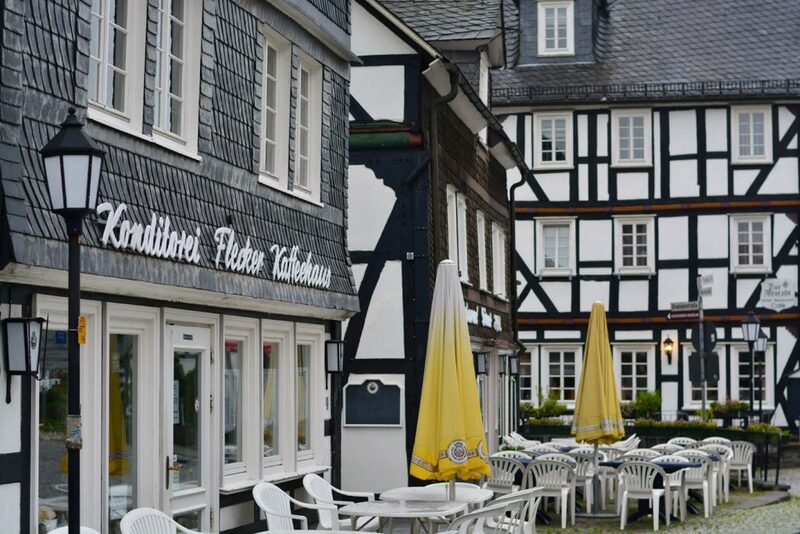 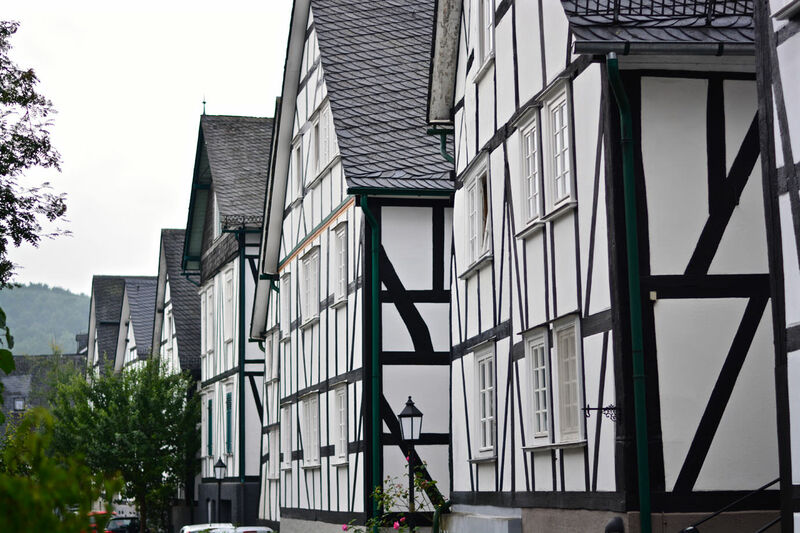 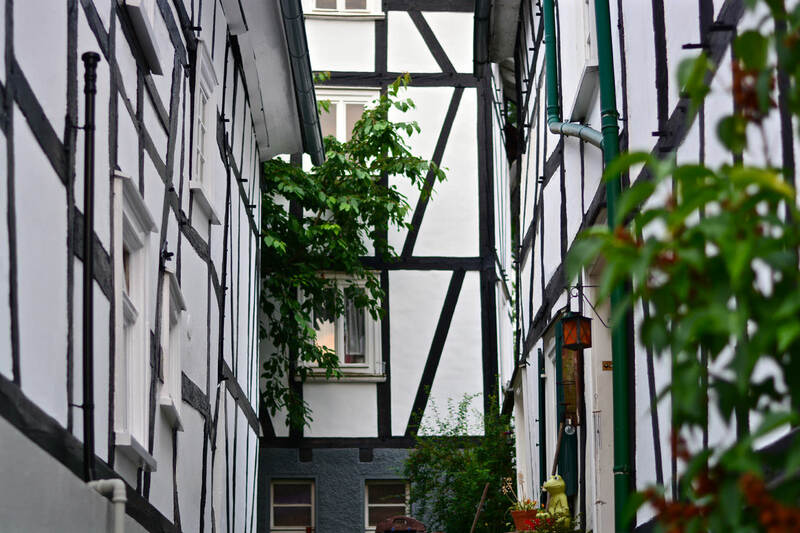 This part of Freudenberg is built wholly of half-timbered houses and gives, therefore, the impression of a 17th-century town. 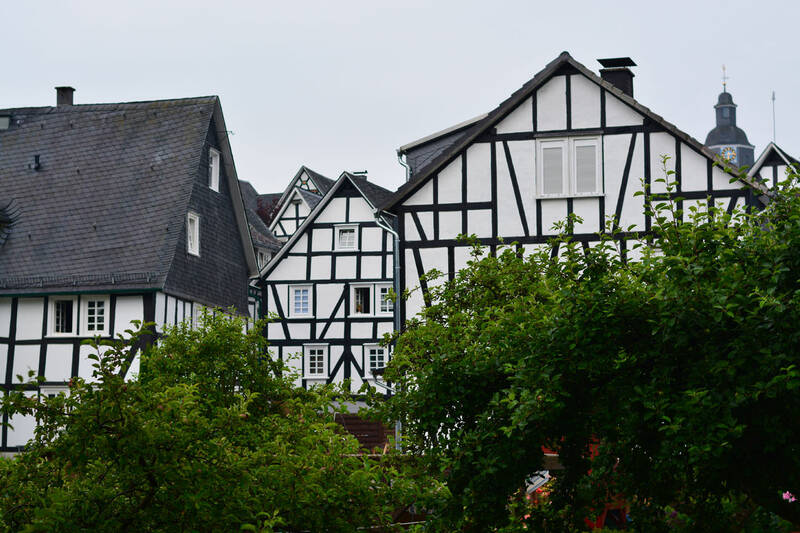 Half-timbered houses are built with heavy timbers, used as a framework, and the spaces between the timbers are filled with clay and wood or bricks. 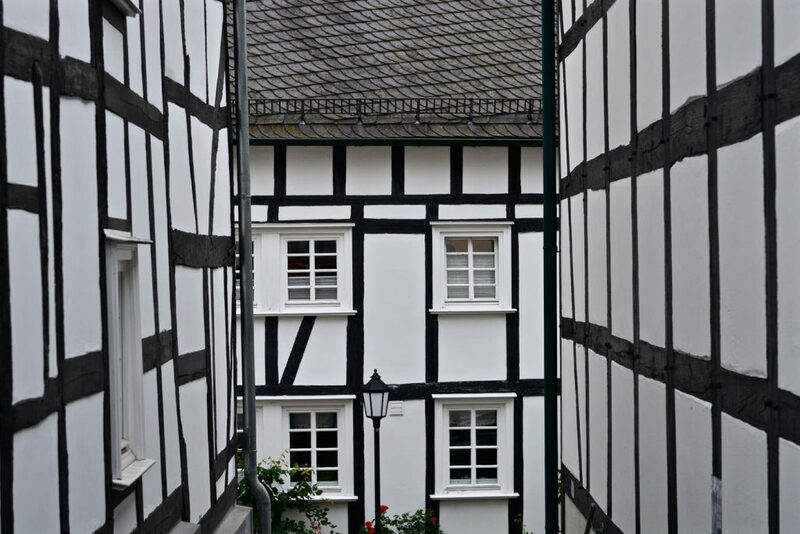 The timbers, however, are exposed on the outside of the building and therefore have decorative effects. 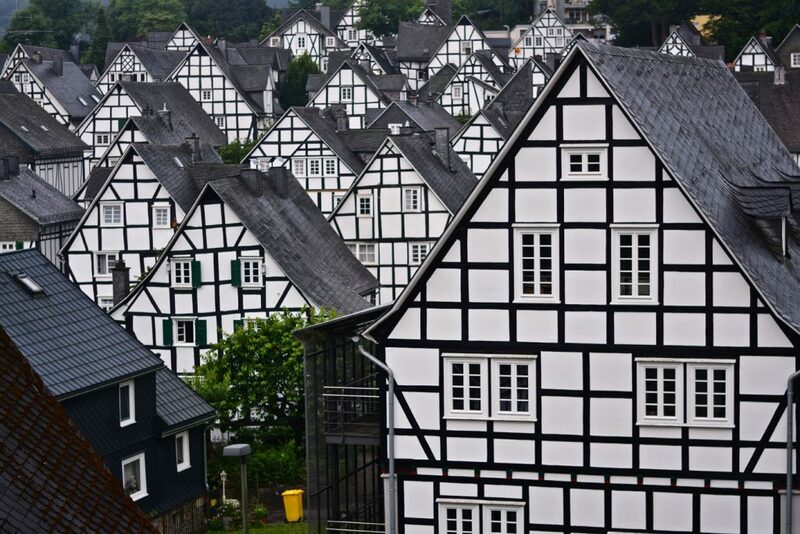 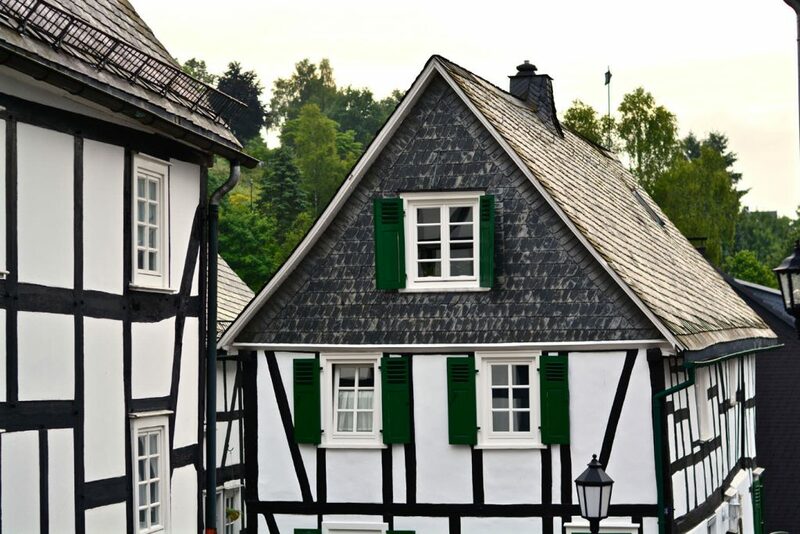 Germany is the country most known for this kind of architecture and that’s why one can find these houses in almost every part of Germany.